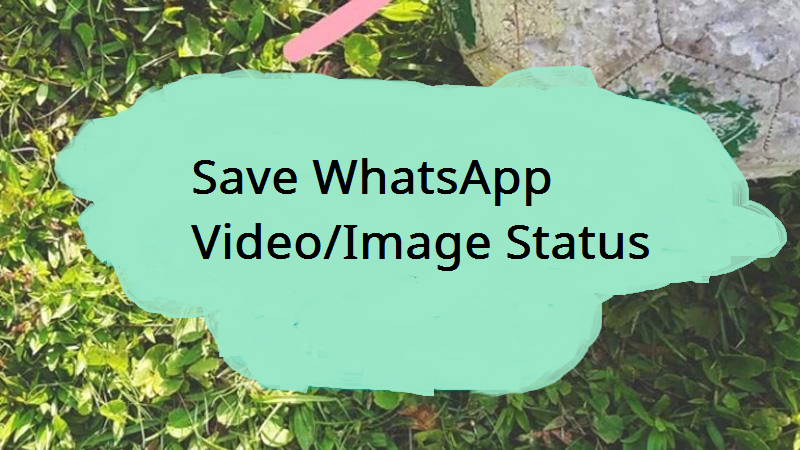 Do you want to know how to save WhatsApp video status? This post will teach you how to in a jiffy. Saving WhatsApp video status is quite easy actually. I will show you not only how to save video status on WhatsApp but also how to save WhatsApp status images. I bet before you started reading this you must have already had an experience using the new feature in WhatsApp called “status” where you see temporal photos and videos that your friends upload. There are some of these photos and videos you would wish to have on your phone, and probably don’t know how to go about it. Most times WhatsApp users end up asking their friends to send them uploaded statuses directly to WhatsApp inbox. Sometimes sending statuses seems like a huge task. But not to worry, I got you covered. Many features are rolling out to WhatsApp users every now and then, one of such features is the ”WhatsApp status” feature which is taken from snapchat’s stories feature. Whatsapp decided to roll out this feature to all its massive users of over 1 billion all around the globe. The new status feature is amazing. It allows you to upload videos and pictures, unlike its predecessor which format was subjected to just text. WhatsApp’s new feature is much more similar to snapchat’s stories. Contacts can view the shared photos, videos or GIF’s for a period of 24 hours before it gets deleted automatically. It is a good thing that Whatsapp introduced this feature, the only con about this is that WhatsApp did not give an option to save the images, videos or GIF’s shared in status updates directly to your phone gallery. Now, That’s where I come in, I will teach you how to save WhatsApp video status. It doesn’t matter if you are trying to download WhatsApp status videos or save WhatsApp status videos. This post will teach you how to save WhatsApp Status. You can save WhatsApp status videos using some tricks. With this little trick you can easily download WhatsApp status updates directly to your gallery and you can use them as normal media files to share and save on your phone. I’ll show you two methods. Download an Install an application called WhatsApp stories or Status Saver from the play store. You must have already viewed multiple stories on WhatsApp Status before they’ll appear on the ”WhatsApp stories App. Select the photos or videos you want to save and tap on the save option. All files will be saved to your device Gallery. And there you have it, that’s the first method that you can use it saving WhatsApp video status. It will interest you to know that the WhatsApp video status that you want to save is already saved in the memory of your device. All you have to do is locate a unique hidden folder called named ”statuses”, unhide the folder, copy the status of your choice to a new folder. Go to your device memory, located the Whatsapp folder. Unhide hidden folders by using more > Show hidden files. On the WhatsApp folder tap on Media > .Statuses. Copy whichever image or video you want to save. Paste copied file(s) into a new folder. Probably your gallery. Status Saver is an amazing App that can be used to save WhatsApp statuses. Status Saver was developed by the same owner of Status.wiki . So, that’s basically how you can save WhatsApp video status on Android, I hope this post has helped you in your mini-quest to save WhatsApp Video Status. I don’t think you are going to experience any issues while trying to save video status from WhatsApp. If you do, kindly leave a comment below and I’ll personally be of assistance to you. Very helpful tutorial, thanks for the share!